Will withstand repeated discharges as low as 40% and still recharge fully. A proven reliable battery that we've provided for years. Use a Digital Battery Meter to determine when 12v batteries need to be recharged. 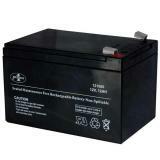 Use a Battery Recharger to safely recharge any 12v sealed lead acid battery. 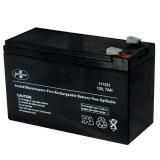 Rechargeable battery for 12 volt energizers (all-in-one solar, battery, combination AC/DC). 66 amp: Supplied as two 33 amp batteries that you will need to connect. Use a slow trickle (2 amp or smaller) to recharge them. Use with 12 volt units only. 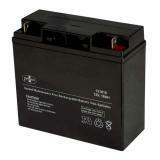 Draining the battery to below 40% can damage the battery and shorten its lifespan. NOTE: SLA batteries are a rechargeable battery that if not properly and frequently recharged with a solar panel or 2 amp or smaller trickle charger then these batteries can fail. 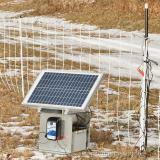 Failure to recharge correctly and when needed is considered misuse. Both are requirements for these batteries to function as intended/advertised. The battery for my electric fence died of old age. I ordered 2 replacements from the field on my cell phone and 4 days later I had the replacement batteries using standard shipping. The whole process was seamless. This review is really about the service of the person who handled my call to customer service. She was especially efficient, professional and helpful. She found my order history and was able to advise me that my old battery had outlived its service life. She did not push the premier product but assured me that I could purchase a battery locally if I was in a hurry to get my charger back into use. Thank you Premier. Bought 2 extra to recharge at home so that they are ready to replace working batteries in PRS units. Winter is tough on the batteries with low temps and several days in a row of no sun. It's good to have some charged and ready to replace those in the field. Batteries last about 3 or less if used year round. I bought two of these so that I could switch out the batteries in my IntelliShock® 120 energizer instead of recharging them in place. This has been so helpful. Recharging the batteries while still inside the energizer took all day. That was a day or night that a pasture was unprotected, since there is no electricity near the pasture and the energizer had to be brought into the house to recharge. That wasn't a big deal in the summer -- the batteries rarely needed to be recharged with the solar panel doing most of the work. But now that summer is gone and the sun is only around 8 hours a day, usually blocked by clouds, recharging is a weekly event. I can't have my energizer out of commission that often. Always having fully charged batteries available to switch out is a wonderful option. It's easy to do, takes only a few moments, and then the discharged batteries can be recharged (using a regular battery charger) immediately when brought in, ready when next needed. 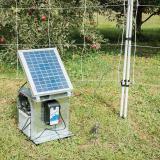 My solar fence charger was 3 years old and no charge was detected. Purchased the replacement (2) 12v batteries and now my charger is running like new. Very happy with the purchase and they arrived quickly. Purchased for PRS 100 fence charger.